Click the image to see full size description. 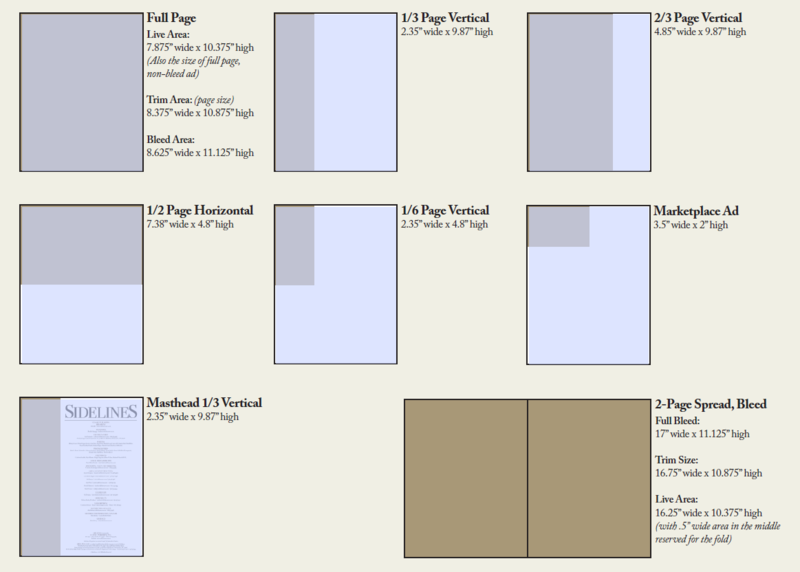 300 dpi resolution PDF or TIFF file. E-mail to: ads@sidelinesnews.com . 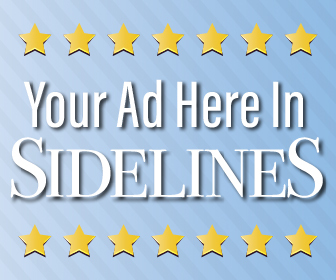 SIDELINES will layout an ad meeting the advertiser’s specifications at no charge. For ads requiring special digital effects, logo design or high-end graphics please contact a graphic designer. SIDELINES will be responsible for errors appearing in ads only to the extent of correcting the same in the next issue, in space equal to the items involved.